Find great places to relax with a fabulous traditional Sunday lunch. Splendid venues to indulge in a spot of afternoon tea. Explore restaurants perfect for that professional meeting. 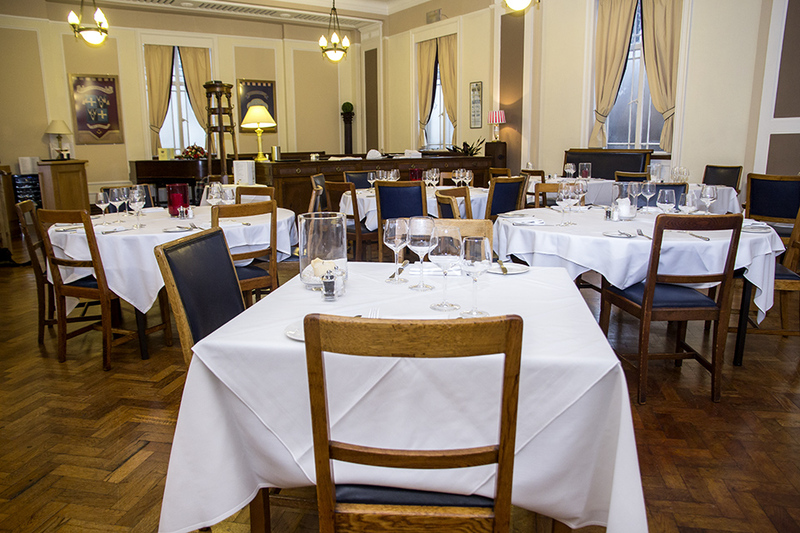 For a bargain price of £11.95, enjoy a delicious meal at the Corinthian! 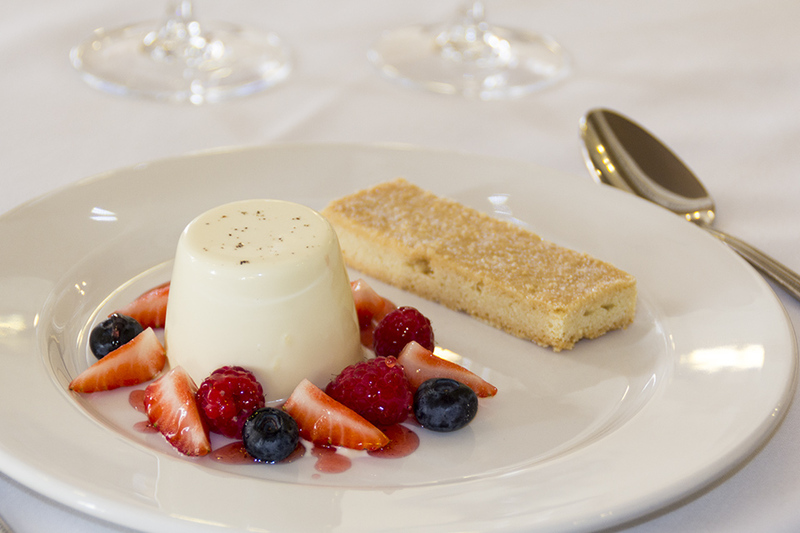 For something a little more special, upgrade to the £14.95 for two courses or £17.95 for three courses. Check out the sample menu for the types of dishes on offer! Available from 7pm. On-site parking is available depending on space vacancies. Not available during December. Book online for free text confirmation or call 0115 754 1092. Sit back and relax at the Corinthian, where you can enjoy a traditional afternoon tea served from 2:30pm-4:30pm, advanced booking required for this offer. £12.50 for one £23 for two or £42 for four. Special treat? Why not add a glass of fizz for £6. Book online for free text confirmation or call 0115 754 1092. First time visiting this restaurant. I didn’t even know it existed. Definitely, Nottingham’s best-kept secret. Will be coming back and will become a regular. The service and food was fantastic. And the staff were amazing. Would have preferred vegetables rather than fries with the meal I had, although it was tasty and tart pastry really light. I went to Corinthians with my husband and 2 daughters. The food was delish, the presentation was excellent and service was professional. We love to visit this Restaurant for the excellent food, good service and value for money. A fabulous meal for a great price! Food was excellent. Will definitely return. The meal was excellent and the service very good. I would have given it 5 stars overall but the ambience let it down. It is a charming room but there where only 2 other diners so not a lot of atmosphere. What a lovely venue & great food to match. Can't say a bad word as everything from the staff , food & dinning area excellent. Will definatly be going again & again. ??? ?First Class. One of the best meals I have ever had. The service was excellent and very friendly. I would recommend this restaurant to anyone. We had a lovely meal the service was excellent, the choice on the menu was very good something for everyone. The staff were tentive without being overbearing. We were asked what time our show was, and the food was delivered to the table giving us lots of time to enjoy it without rushing. The plates were hot and the food delicious. Will defiantly visit again. This is a restaurant that deserves to be more popular. The food is very good as is the service. We have always enjoyed our visits. Excellent food, beautifully cooked and well presented. Waitress was extremely friendly and attentive. Really good value. Pity we were the only 2 people dining, however we will be back. An unusual experience which has to be experienced to appreciate. Well worth a visit. Fantastic meal with excellent service, would fully recommend, Corinthian is a hidden gem in Nottingham! Great Mother's Day meal at Corinthian, relaxed atmosphere and child friendly. Presented with a a lovely flowering plant, which was a nice touch. Would recommend! Lovely afternoon though the place slightly lacks atmosphere. Food at The Corinthian lovely though and well presented. Great second visit of Cortinthian - this time the pre-theatre menu and again the food was fantastic will definitely be back. What a super wedding anniversary meal we had in the marvelous surroundings of the Corinthian Restaurant! The décor was good, the service was brilliant and the food was just what we wanted. (The cheese soufflé was marvelous). Plus the staff remembered that I had pre-ordered a bottle of bubbly! Next special occasion we will be over from Loughborough to sample again. Booking through Go dine helps as well! Faultless first visit - will definitely be a new regular. Nice food at Corinthian, but its better to go earlier than later.. The deal we had at Corinthian's was excellent value. The food and wine were both delicious and the portions were extremely generous. We went in the first few weeks of the restaurant opening which may account for the slight lack of atmosphere. An issue I'm sure has been resolved in the subsequent months. This is one of the Best restaurants in Nottingham magnificent food, service, ambiance and a good range of prices, and also the pianist of the place plays beatiful music, It is the perfect combination. I reaaly loved this place, I´m 100% sure that I will be back and I recommend this place as well. We held our work christmas meal there on Friday evening(5/12/14). It was an absolutely beautiful room and it ended up being a private function due to the number of guests we had booked in. Sarah was very helpful on the lead up to the event and on the evening provided us with perfect service. Well organised, lovely food, great atmosphere. Staff loved it so much that they would like me to book again next year!!! Possibly the best value dining experience in the city right now when dining from the pre-theatre at the Corinthian with 50% off. The staff are very nice and the food is really fresh and uses good quality ingredients. Don't miss out on the offer while its available! We dined here on a special offer, 3 courses for under £9.... And it was exceptional value. The food was superb and cooked to order. Despite the fact that there were only our party of four in this beautiful dining room, the ambiance was warm, friendly and relaxed. Would definitely recommend this dining experience in the heart of Nottingham. A gem. Visited the Corinthian restaurant with some work colleagues and was really pleasantly surprised! Goats' cheese starter was lovely, then had a delicious halloumi and sweet potato cake for mains, followed by a really unusual and refreshing pineapple and coconut dish. My fellow diners had more traditional food but were also delighted! Room was lovely & full of interesting furniture, and staff were very friendly. Top marks, I would definitely return! 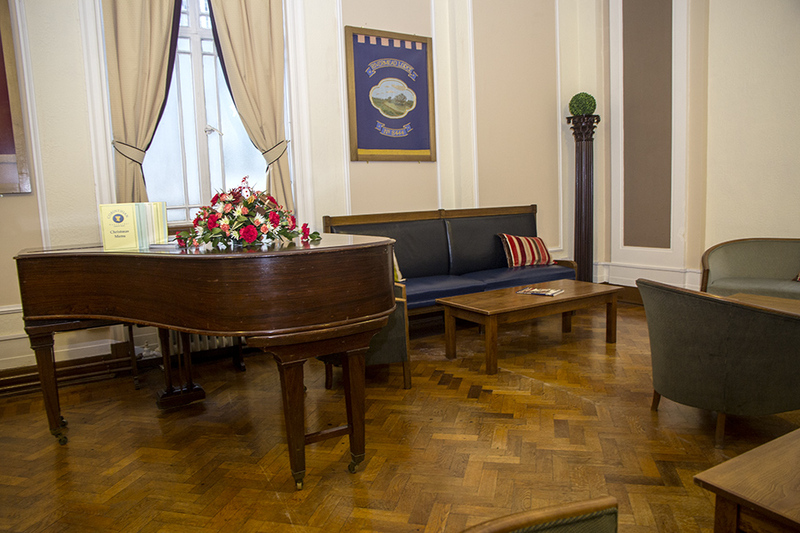 More than 80 years after it was first built, Nottingham Masonic Hall has opened its doors to the public as an elegant and relaxed dining experience. 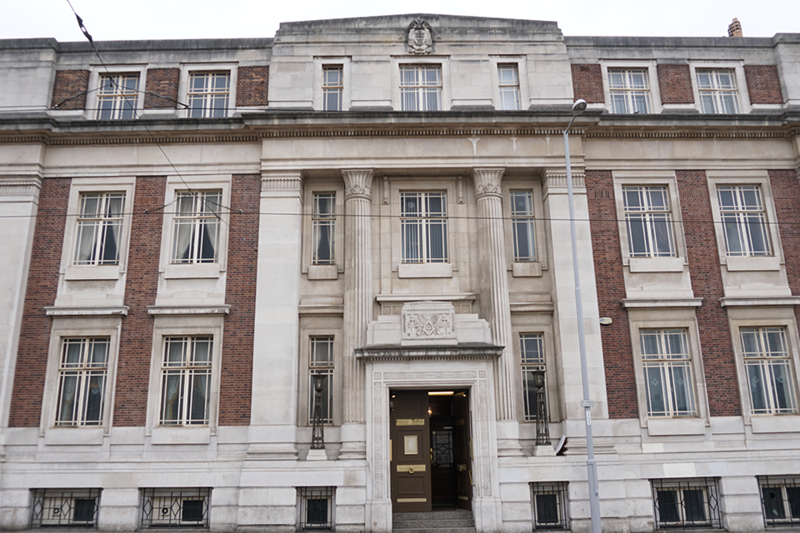 The historic building is located in the centre of Nottingham, less than a minutes’ walk from Nottingham’s Concert Hall and Theatre Royal. As well as having great access to the city’s cultural heart, it’s also close to the landmark Market Square, making it ideal for both visitors and locals as it’s easily found and not far from anything you might need in Nottingham. 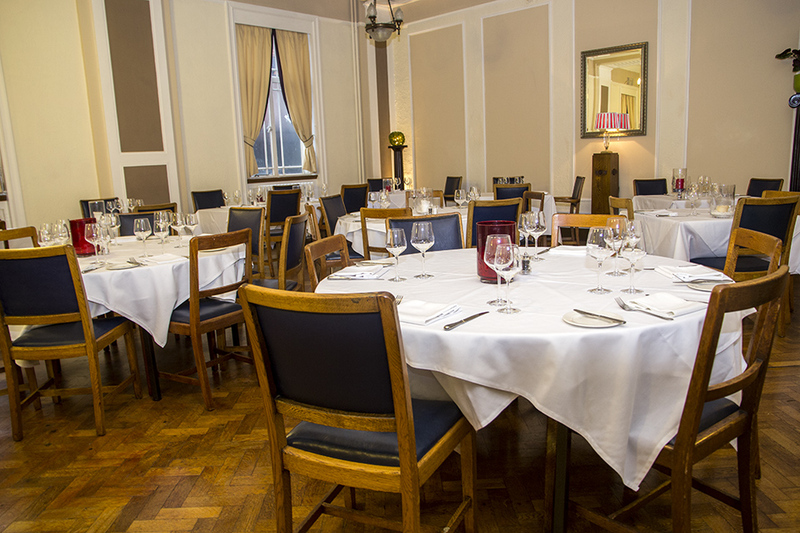 The Corinthian dining room which is part of the Belgrave Rooms in Goldsmith Street had only previously been open to members of Freemasonry. This is the first time in history that a restaurant for the public has been opened in Nottinghamshire within a freemasons Hall. 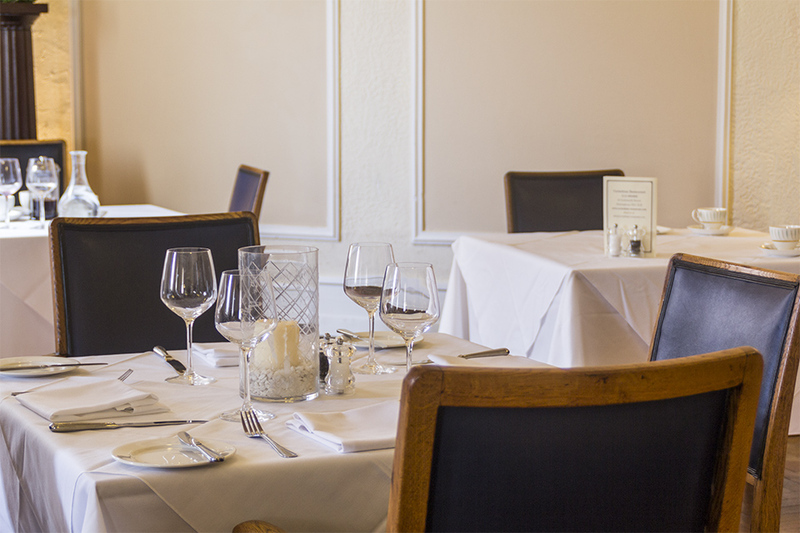 The dining room offer an air of timelessness, elegance and tradition in relaxed, refined and stylish surroundings. 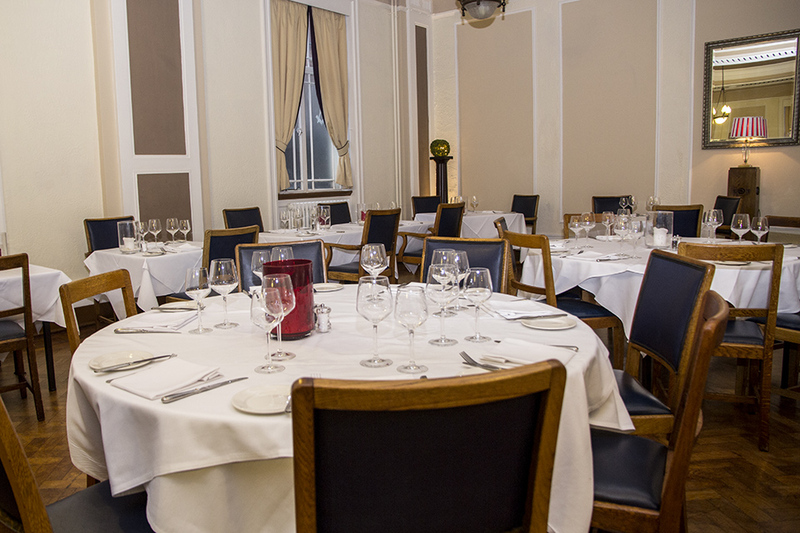 The Corinthian would be a perfect venue for a special occasion, or an ordinary occasion you’d like to make special. Head chef Daniel Gower has a passion for great food with a flair and has taken all his past knowledge from Longueville Manor in Jersey and Tyme in Sheffield. 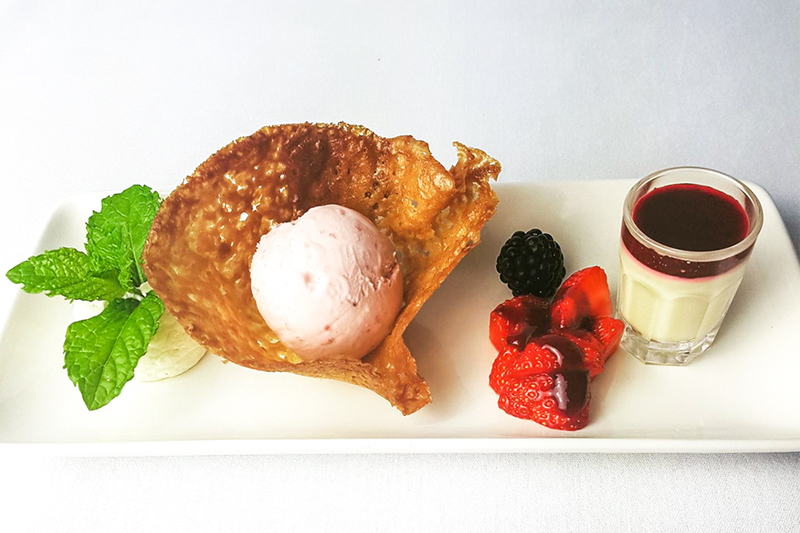 His wealth of experience has helped him to create a haven of calm away from the busy city streets of Nottingham with his simple, elegant dishes. Some of his most popular dishes are crispy black pudding filled chicken wings, and he loves to incorporate honey from his beekeeping hobby into his food. To start, we recommend the sea bass, chorizo sausage and squid ratatouille, which can be complemented well with a main of slow-roast belly pork with a light butternut squash mash, creamed leeks, black pudding and a sage jus. 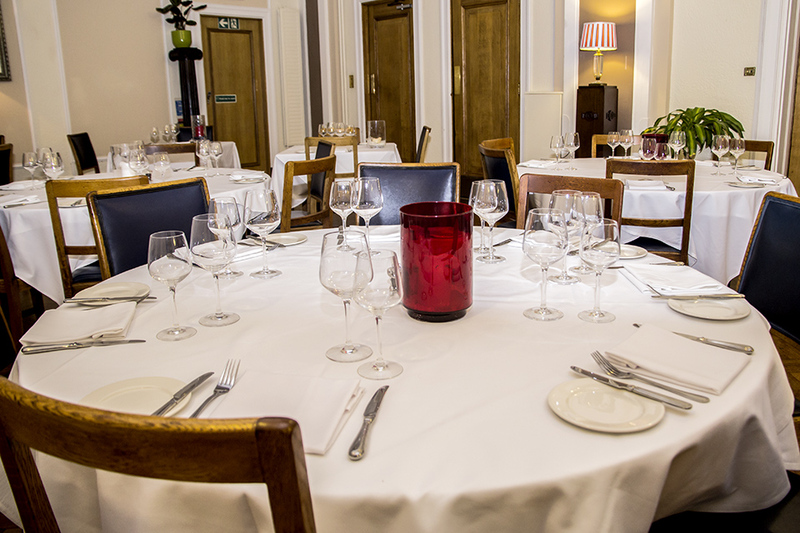 Don’t miss out on their amazing seasonal menus, and pop in for a great-value set meal if you want to try a bit of everything the Corinthian has to offer. The Corinthian is a unique landmark restaurant that you won’t want to miss out on if you’re looking for a meal in Nottingham, so make it your next destination for a memorable evening. 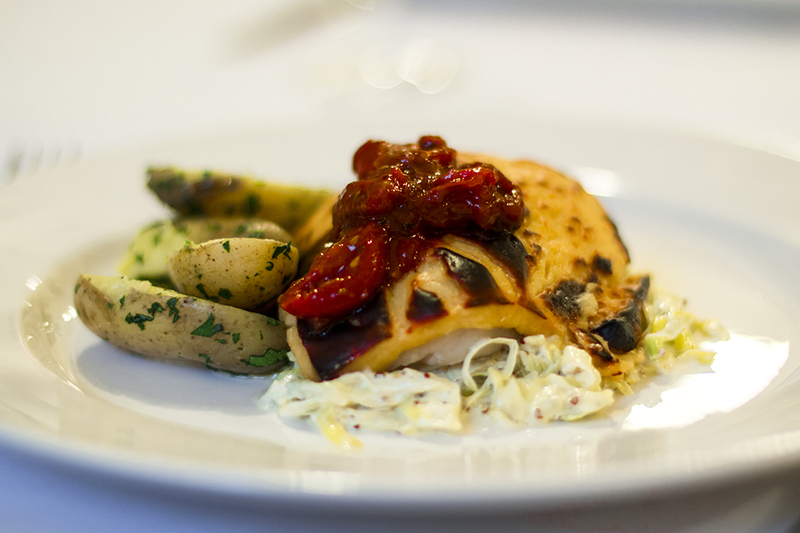 For a bargain price of £11.95, enjoy a delicious meal at the Corinthian! 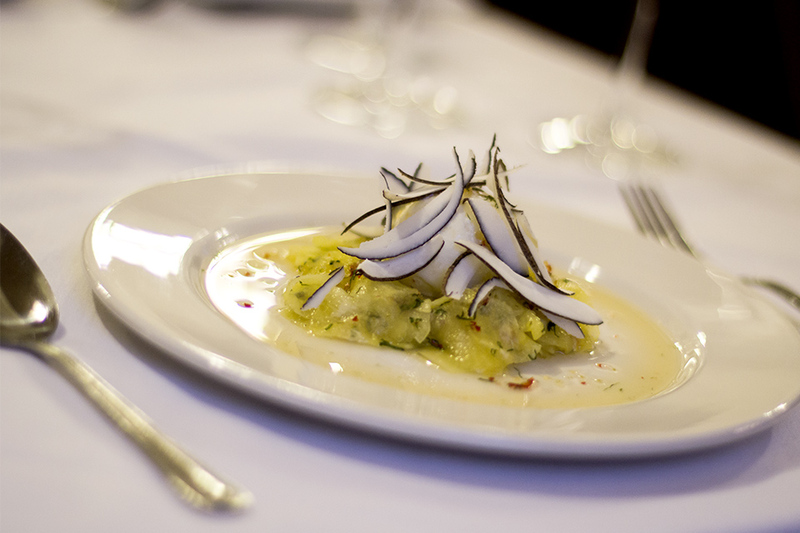 For something a little more special, upgrade to the £14.95 for two courses or £17.95 for three courses. 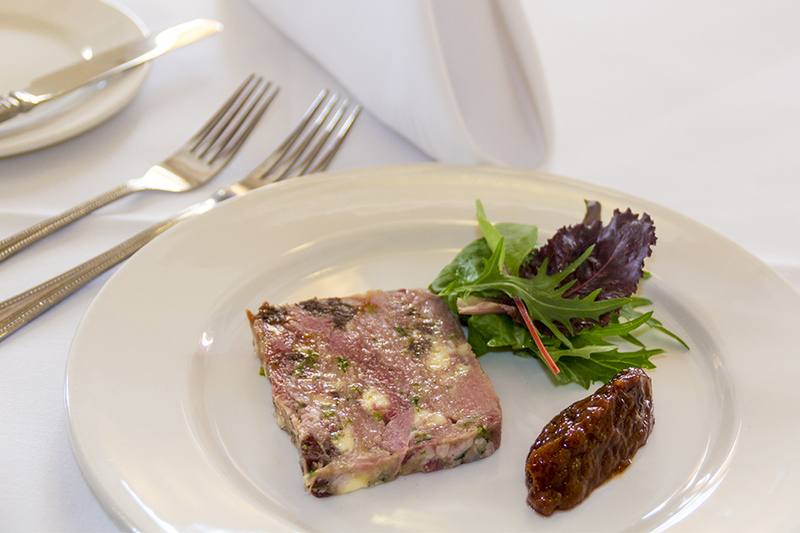 Check out the sample menu for the types of dishes on offer! Available from 7pm. On-site parking is available depending on space vacancies. Not available during December. 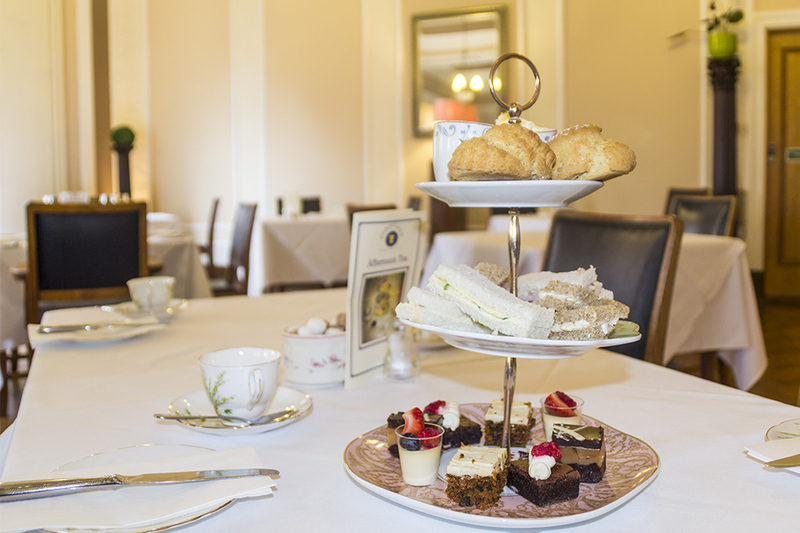 Sit back and relax at the Corinthian, where you can enjoy a traditional afternoon tea served from 2:30pm-4:30pm, advanced booking required for this offer. £12.50 for one £23 for two or £42 for four. Special treat? Why not add a glass of fizz for £6. Godine Where smart diners go!